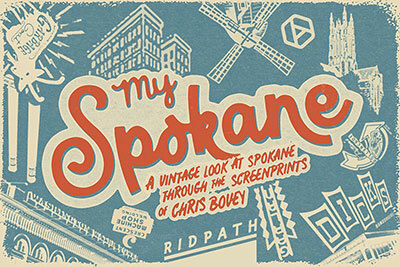 November 12 is the opening of 'My Spokane: A Vintage Look at Spokane Through the Screenprints of Chris Bovey' at the Northwest Museum of Arts & Culture's Helen South Alexander Gallery. In the past four years, Bovey has become a popular and important chronicler of the Inland Northwest. See 32 of Bovey's iconic images of Spokane; each of his screenprints will be accompanied by a photograph from the historic Charles Libby Collection in the Joel E. Ferris Research Library and Archives. Bovey will give a gallery talk at 2pm on Saturday, November 12. One of Bovey's goals with his locally-focused designs is to provide affordable art "so that everyone can own a piece of their town." Bovey's prints, mugs and t-shirts are for sale in the museum store. Bovey's show runs through January 8. 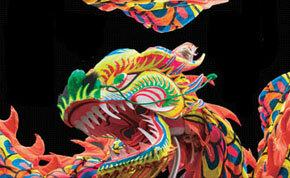 For more information, visit www.northwestmuseum.org or call 509-456-3931. Bring the family for the Family Holiday Photo Studio at this historic Campbell House on Saturday, November 19 from 10:30am-4pm. 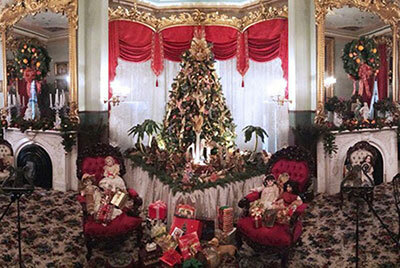 The Campbell House library's Christmas tree is the perfect backdrop for your holiday photo or Christmas card. Reservations are available online at www.northwestmuseum.org, or call 509-363-5355. $50 per group (up to 8 people), and all proceeds support Campbell House restoration projects. Your photo will be taken by one of the talented members of the Spokane Falls Community College Photo Arts Club. Laugh along with Jamie Boyd, Don Parkins, Joe Fontenot, and Jay Wendell Walker at The Reserve, at 120 North Wall, tonight, November 2 starting at 8pm. It's just $5 cover. Tomorrow night, Thursday, November 3 see SAFAR featuring Spokane's Finest Belly Dancers from 6-8pm. Then, Line Dancing with Swinging Boots, Cowgirls and Cocktails at 9pm. This weekend The Reserve at 120 North Wall has back to back musical acts and the cover charge is just $5. Friday, November 4 at 9pm, it's the soul, funk and blues sounds of Charlie Butts and the Filter Tips. Saturday, November 5 at 9, Hot Club of Spokane takes the stage with jumpin' 20s, 30s and 40s music. The website is thereservespokane.com. This Friday, November 4, at 6pm at the Martin Woldson Theater at The Fox, the Spokane Symphony presents INTERSECT (formerly 'Symphony with a Splash') is a combination of music, art and culture that will enhance your concert experience. Before the symphony begins at 8pm, when Music Director Ekart Preu conducts a trio of works by composers of Chinese origin, you can enjoy authentic Chinese appetizers by celebrated local chef Jeremy Hansen of Sante, Common Crumb Bakery and his forthcoming Inland Pacific Kitchen restaurant. Tickets for the tasting menu are $15; or $10 for people who subscribe to the three-concert INTERSECT series. Before the concert, you can also enjoy tradition folk dancers from the Spokane Chinese Dance Group, and Chinese Harp music. Chinese calligraphy demonstrations and a display of Chinese brush paintings round out the evening before the music starts. Ticket prices for INTERSECT are $25 for the concert, or $60 for the three-concert series. Tickets are available at the box office, or by calling 509-624-1200. They are also available online, at www.spokanesymphony.org, and at all TicketsWest outlets. The other INTERSECT concerts this season are The Baltics: Independence at the Fore of Russia on January 13, and Tango: A Dance that Changed the World on March 10. Holy Names Music Center's free Fall Performathon is this Saturday, November 5 from 10am to 5pm in the Atrium of River Park Square. A Performathon is a marathon recital that celebrates and showcases the wonderful musicians at Holy Names Music Center. From the very young Suzuki violin student to the young at heart 80-year-old playing with one of the adult ensembles, Holy Names Music Center has something for everyone. 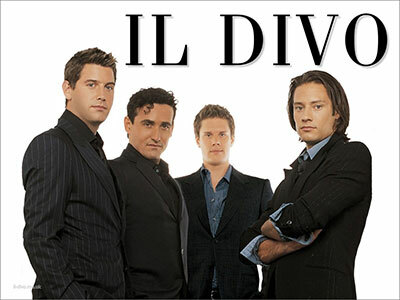 The fabulous vocal group Il Divo is at the INB Performing Arts Center this Saturday, November 5 at 7pm. Ticketswest has your seats at www.ticketswest.com or 800-325-SEAT. Beautiful. 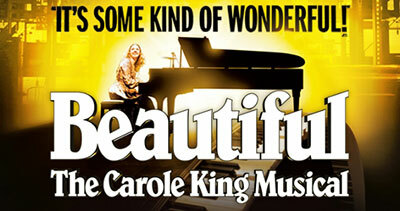 The Carole King Musical is at the INB for 8 performances Wednesday, November 9 through Sunday, November 13. It's the inspiring true story of Carole King's remarkable rise to stardom, from being part of a hit songwriting team with her husband Gerry Goffin, to her relationship with fellow songwriters and best friends Cynthia Weil and Barry Mann, to becoming one of the most successful solo acts in popular music history. Along the way she made more than beautiful music, she wrote the sound track to a generation. Featuring a stunning array of beloved songs including 'I Feel the Earth Move', 'One Fine Day', 'You Make Me Feel Like a Natural Woman', 'You've Got a Friend' and more. TicketsWest has your seats at www.ticketswest.com or 800-325-SEAT. 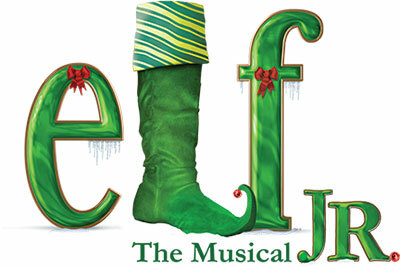 CYT Spokane presents 'Elf Jr. the Musical,' in multiple performances at the Bing Crosby Theater Friday, November 4 through Monday, November 14. Go to cytspokane.com for show times and tickets. Enjoy great art at the Trackside Studio, 115 S. Adams, this First Friday, November 4 and Saturday, November 5 as they fill the gallery space with one of a kind ceramics and sculpture that were glazed and fired in the palette of White. Winter whites, new works, fresh looks, functional, sculpture and all one of a kind. The First Friday Reception is from 5 to 8pm and again Saturday noon to 4pm. And next door to the Trackside the Kolva-Sullivan Gallery is featuring George McCauley, from Helena, Montana, exhibiting wood fired red neck majolica, works in clay and mixed media.